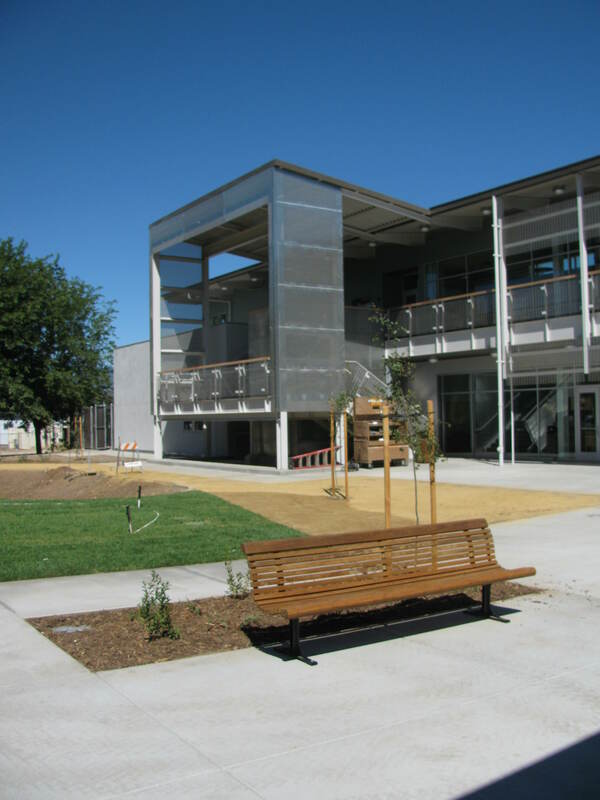 From outdated library (view spectacular new Library here: Mendocino College LLRC) to the Lowery Student Center this project shows how an existing building can be repurposed for additional important functions. 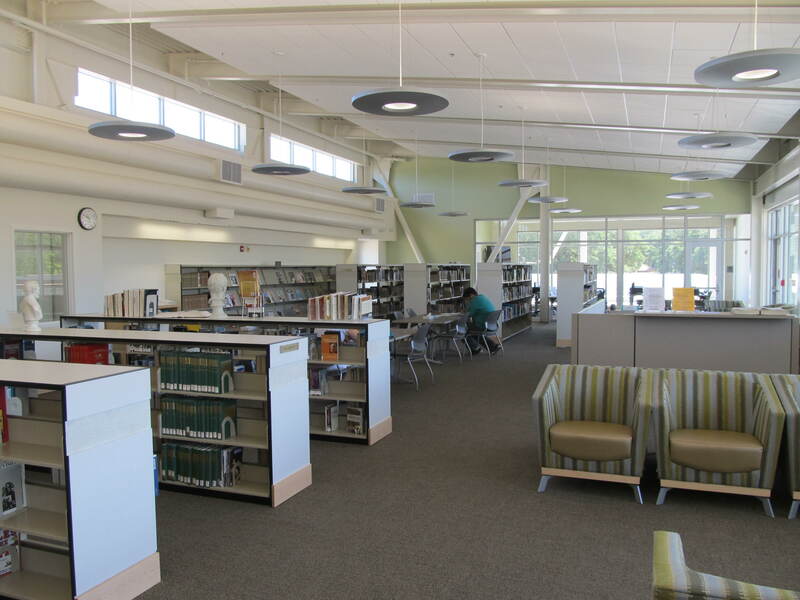 Since the new library location would essentially displace all existing student center functions on campus (bookstore, student lounge and café / dining) it was decided that the old library location would be a perfect fit for their relocation. To this end Midstate Construction deftly handled the idiosyncrasies of working in an older building. By opening the western wall of the building a dramatic entry element was realized. Entering the main gathering space, campus users can easily navigate between the student lounge (complete with pool table and gaming devices), bookstore, or the greatly expanded Schat’s Café and dining area. This is a great place to get morning coffee, a Danish, and maybe finish the homework in a relaxed setting! The light filled spaces are accented with warm, rich recycled redwood paneling by Viridian. It was also a great opportunity to consolidate all of these functions around a wonderful new courtyard. The courtyard now serves large campus gatherings and student activities. In a time where campuses find it hard to persuade students to stay on campus, beyond class time, this consolidation / modernization is sure to help on this campus. Well…… the progress has been amazing. Since our last update the contractor’s forces have poured the concrete slabs (Devencenzi) for all three buildings, erected a portion of the wood walls (Archer) and the structural steel (Hilo Erectors) for the main building. 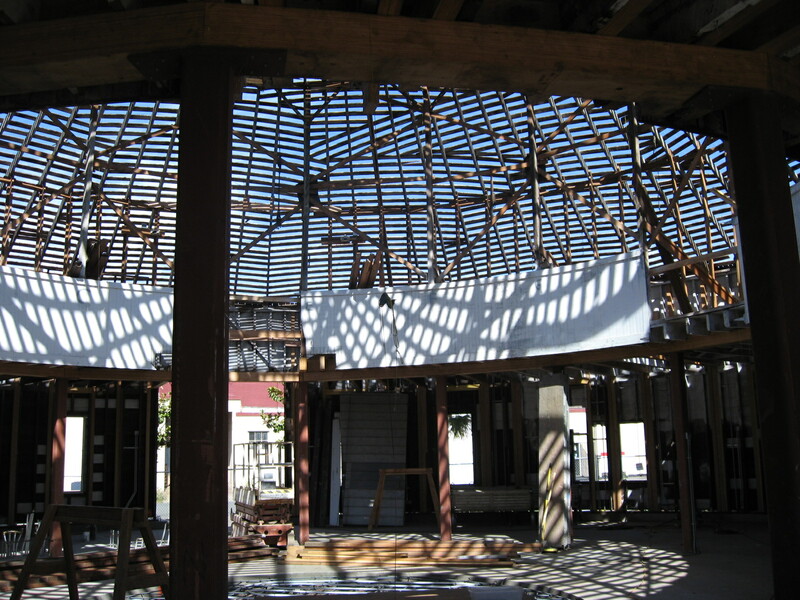 before Christmas Sundt expects to have all of the wood framed roofs up and roofing on. This is a good thing, since we have been lucky so far that our typical winter weather has held! 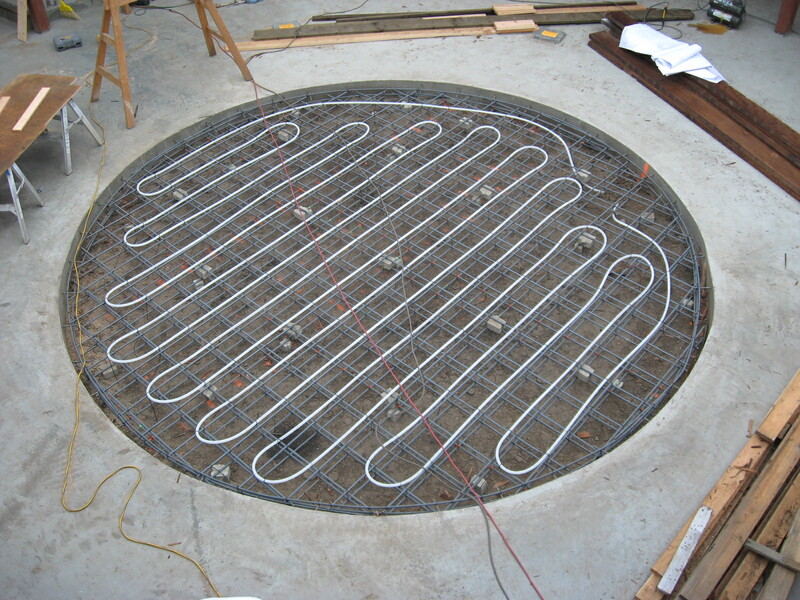 We will also see the metal decking finalized and the concrete put on at the second floor. St. Pattys Day was more than Corned Beef and Guiness this year. 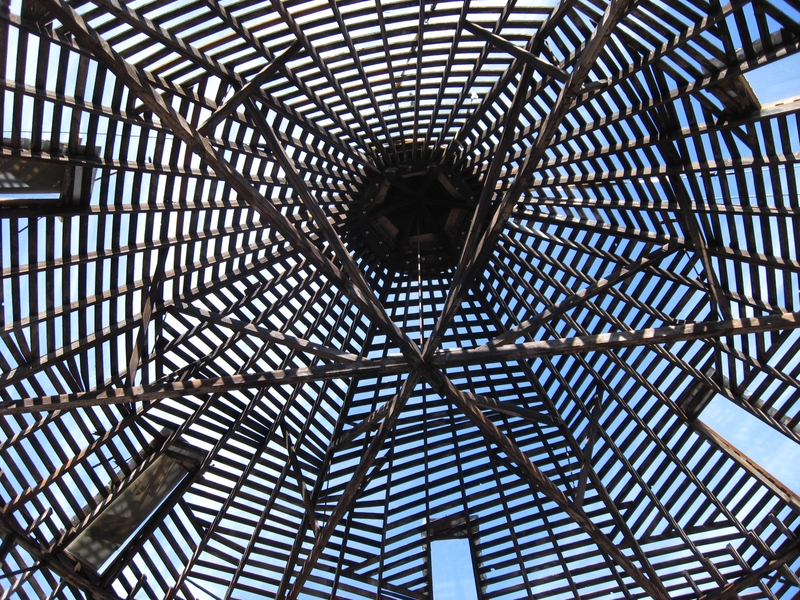 The DeTurk Round Barn, after a much needed restoration, was officially dedicated and opened for business. 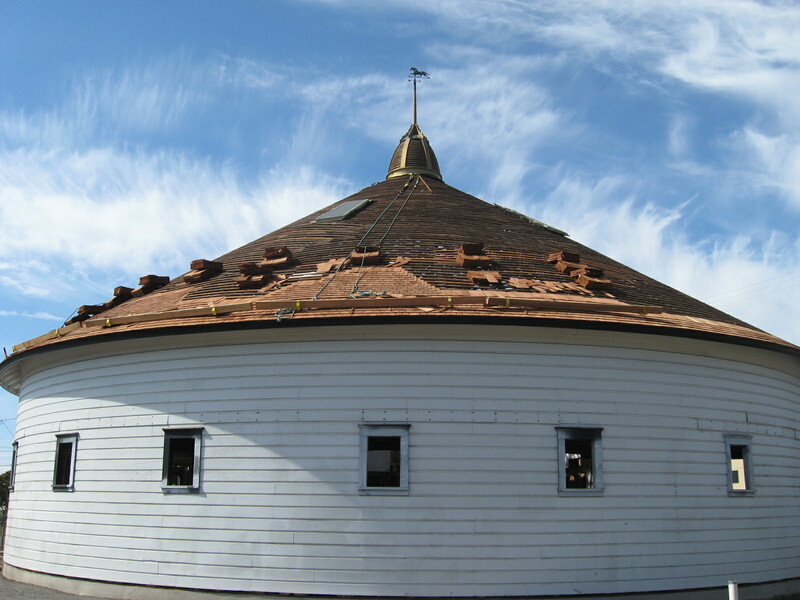 Under the care of The City of Santa Rosa, Recreation and Parks Department the barn went from a tired 120 year old building to a vibrant public space, ready for another 120 years of memories. There were two events of interest on this day. A wonderful ceremony, complete with bagpipes, occured at the new dog park. 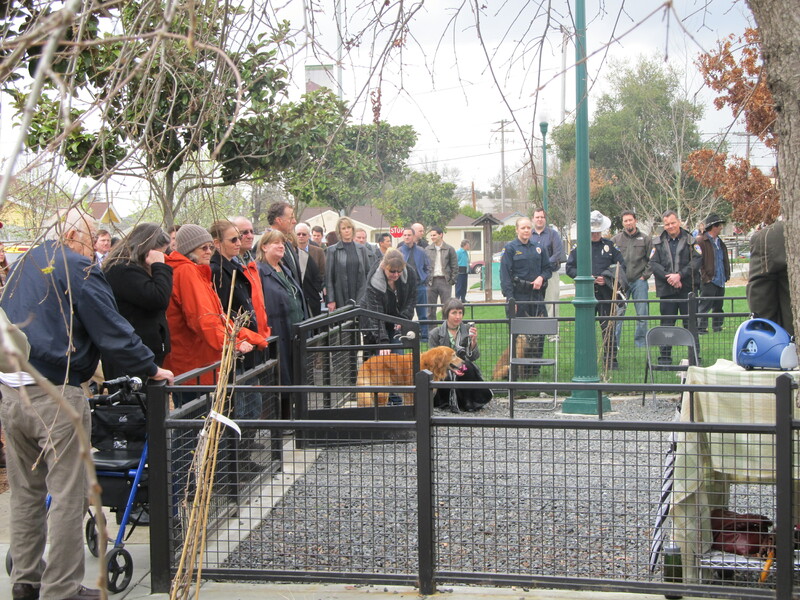 A new memorial for “Maverick”, a K9 killed in the line of duty in 2000, was dedicated. With generous financial support from TLCD Architecture and the general contractor on the project, GCCI, a suitable plaque was unveiled, that will honor Maverick well into the future. DeTurk Dog Park Memorial Dedication for "Maverick"
1. Community support and involvement, especially from the citizens that live near the barn in the West End Neighborhood and Historic District. 2. 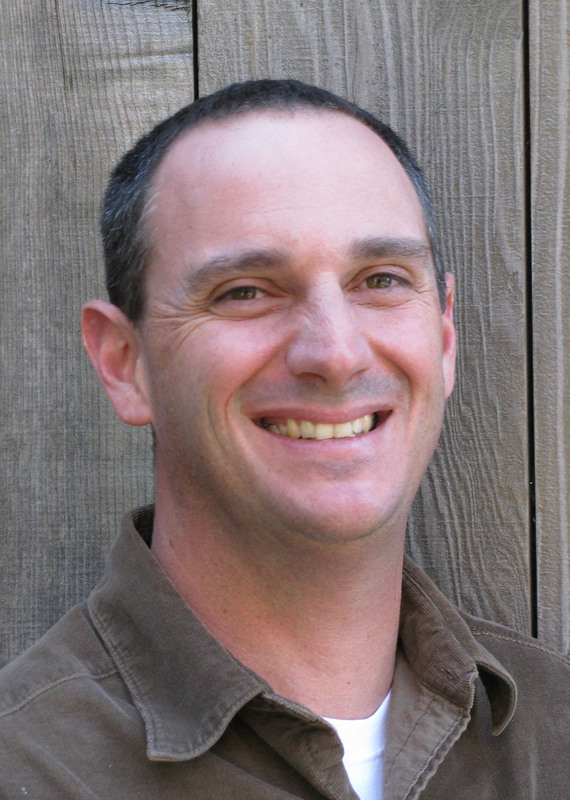 Understanding and cooperation from the varied departments within the City of Santa Rosa as the project was navigated through the approval process. 3. 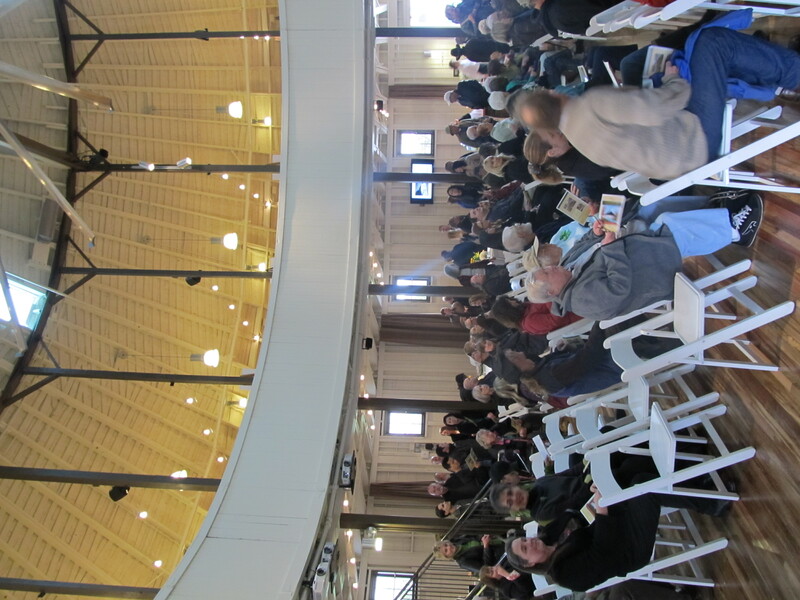 Wonderful programs, like the California Cultural and Historical Endowment , meant to save important architectural landmarks like the DeTurk Round Barn. 4. A collaborative atmosphere during the project between Design Team and contractor. 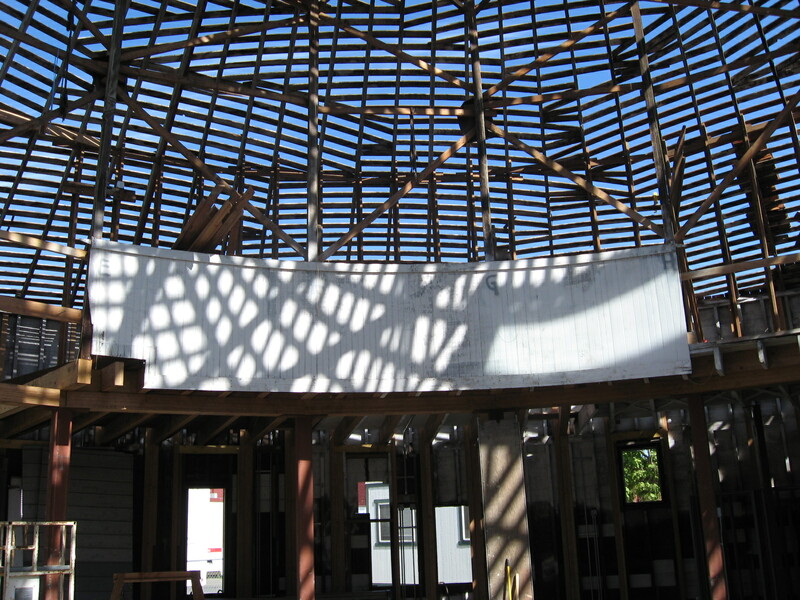 A project like this, where so much is about maintaining the origianl character of the barn won’t be successful if the trades in the field aren’t seen as a big piece of the solution. 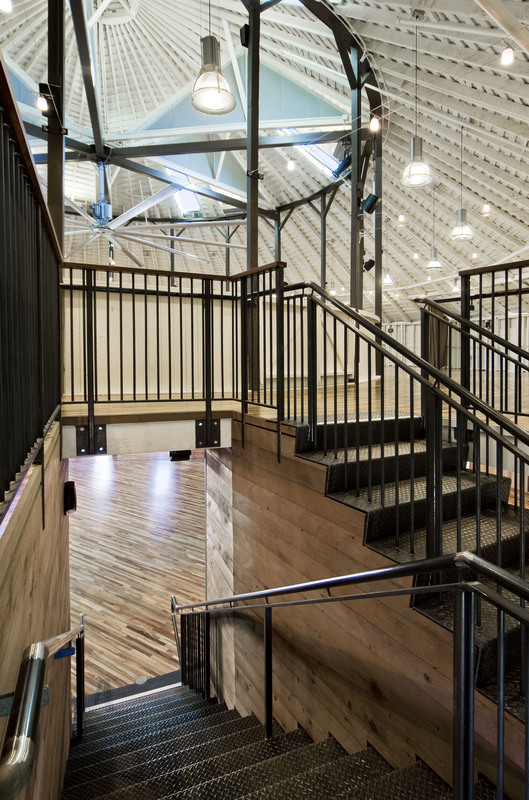 From the custom stair elements, executed wonderfully by The Welding Shop, to the large amount of exposed conduit for electrical, placed in a craftman like manner by Lunardi Electric, to the reclaimed oak flooring installed by H.Y. Floor and Gameline Painting, Inc. this project is successful in large part by dedication of workers in the field. Contact GCCI for a list of all sub contractors on the project.